Is my cat in heat? That is a question I often get asked. It is not surprising really as the indications can be quite subtle in some cats, whereas in others it can be screamingly obvious. So how do you spot the signs; what behavior indicates that your cat may be getting ready to mate and is there anything that you should be doing. 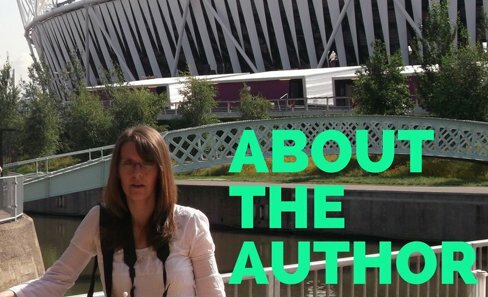 All these issues will be discussed here. 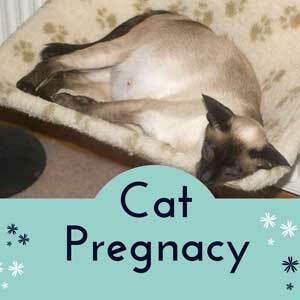 What age can a cat get pregnant? At What Age Can A Cat Breed From? Cats can breed from 6 months old or even earlier in some breeds and will start to show signs of being in heat from that time. As a rule of thumb female cats can have their first heat as young as three and half months but normally it is around 6 months. Male cats normally go through puberty between 10 to 12 months old but some can go through it as early as six months. If you want your cat to have kittens it is always best to wait until it is over one year old. Keep it away from un-neutered male cats until this time. Female cats can remain fertile up to 14 years old and will show signs of being in heat throughout that time. They can have up to three litters a year, but continuous pregnancies will exhaust the mother cat and can damage its health as well as that of the kittens. What Are The Signs of A Cat In Heat? Urinating more frequently to spread her scent around. This short video shows some of the classic signs of a female cat in heat. Raising of the behind, calling, licking and rolling on back. How Often Will My Cat Be In Heat? Female felines will show signs of being in heat on average for one week every three weeks from late winter or early spring. This will continue for nine months or longer, or until she has mated. If she does not mate, the heat period can become more frequent until it is almost a continuous state. 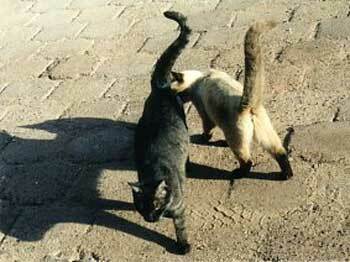 If successfully mated, then the signs a cat in heat shows will stop. A female cat is most fertile between 3 to 4 days during the week she shows signs of being a cat in heat, and she is ready for mating when she raises her rear end off the ground when touched. Mating triggers ovulation (the release off the egg from the ovary), and cats will mate several times to try to ensure fertilization. If given free reign, a female cat will mate with several Toms over 3 to 4 days, and so a single litter can contain kittens from a variety of male cats. If she comes into heat again in 2 to 3 weeks time, then she is not a pregnant cat. 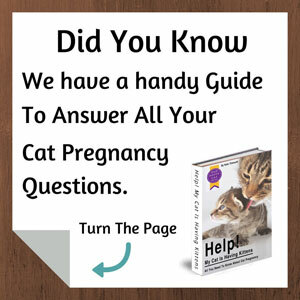 Unless you are fully prepared for your cat to have kittens and you have safe happy homes lined up for all those that may come along, it is always recommended to have your cat spayed to prevent unwanted pregnancies. Cat re-homing centers are full to the brim of unwanted kittens and many cats are destroyed every year for the lack of good homes for them. If you want your cat to have kittens because you want to have another cat in your home, then why not think about getting one from a re-homing center instead? There is no evidence that a spayed cat 'misses' having kittens and having the operation can help prevent conditions like mammary and uterine cancer in the future.